WASHINGTON, DC (25 April 2016) – Eight former leaders of public forest agencies from across the world are calling for the new, participatory approaches to forest regulation that are required to address urgent global challenges, including climate change mitigation, green growth, poverty, and the struggle against deforestation. The Paris Agreement, signed last week in New York, places greater importance on conserving forests and other carbon sinks. With 70 percent of the world’s forests in public ownership, forest agency leaders are increasingly crucial stakeholders in helping countries meet their climate pledges. A recent analysis co-authored by this diverse group of leaders from Brazil, Nepal, Canada, Indonesia, Mexico, and the US reflects on transitions in forest governance and lessons learned for forest agency leaders over the past decade. The analysis highlights the importance of new and innovative efforts to reduce deforestation, promote transparency and inclusiveness, and engage citizens—especially the local communities and Indigenous Peoples who have successfully stewarded these lands for generations. This unique group of authors was brought together by an informal network called MegaFlorestais, comprised of current and former heads of forest agencies from the world’s most forested countries. The group—created as a space for open and honest exchange on forest issues—has met annually since 2006 to discuss key challenges in forest governance. 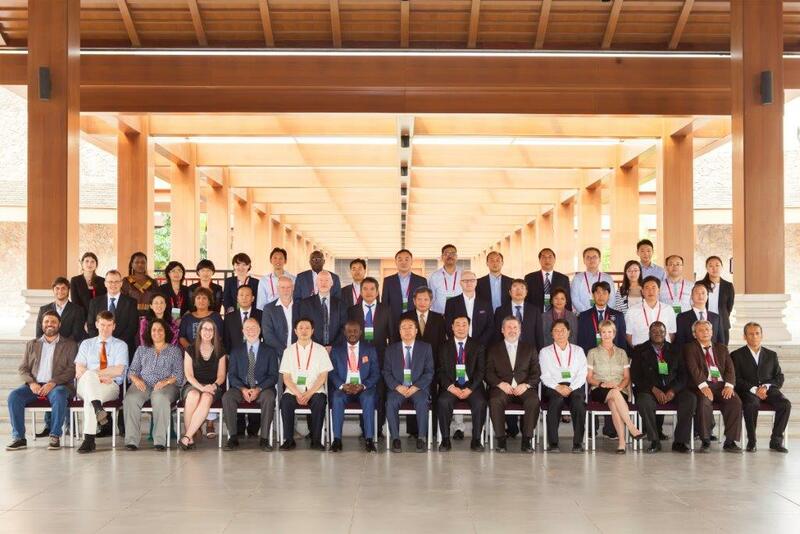 At the network’s 11th annual event last week in China, the current generation of forest agency leaders came together to continue the conversation on how to best adapt to new trends in green growth, public forest reforms, forest tenure, and land rights. At these annual meetings, leaders like Chen Fengxue can speak freely and without pressure about the challenges their agencies face, and share new ideas to help solve the global challenges that lie ahead. As Collins highlighted, the beauty of MegaFlorestais is that these forest agency leaders “all care so much about the world’s forests,” and their presence at this forum emphasizes their commitment to open dialogue and finding common solutions. Lessons learned from the MegaFlorestais network have already led to concrete policy changes, as governments are increasingly seeing that resource rights issues must be addressed collaboratively, across all sectors. New models of public administration of forest areas have surfaced—such as in British Columbia, Canada—showing that cross-ministerial collaboration, inclusion of Indigenous Peoples and local communities, and land reform are possible. In Peru, a new executive board is being formed to guide the country’s forest agency, and will reserve 4 of the 12 positions for representatives of indigenous communities. At this year’s meeting, current leaders signed an endorsement of the MegaFlorestais network, recognizing its global importance as a tool for sharing skills and ideas, discussing challenges, accelerating learning, and spurring innovation. Participants also affirmed their ongoing commitment to the group by finalizing a new, five-year plan for MegaFlorestais. MegaFlorestais is an informal network of public forest agency leaders dedicated to advancing international dialogue and exchange on transitions in forest governance, forest industry, and the roles of public forest agencies. The group includes the heads of forestry agencies of the largest forested countries in the world, and provides the opportunity for these leaders to share their experiences and challenges in a frank and open manner. The process aims to foster stronger relationships between forest agencies, collectively strengthening their abilities to play leading roles in addressing forest governance and sustainable forestry issues. For more information, please visit: www.megaflorestais.org. The Rights and Resources Initiative (RRI) acts as the Secretariat of the MegaFlorestais network. RRI is a global coalition of 13 Partners and over 140 international, regional and community organizations advancing forest tenure, policy and market reforms. RRI leverages the strategic collaboration and investment of its Partners and Collaborators around the world by working together on research, advocacy, and convening strategic actors to catalyze change on the ground. RRI is coordinated by the Rights and Resources Group, a nonprofit organization based in Washington, DC. For more information, please visit: www.rightsandresources.org.